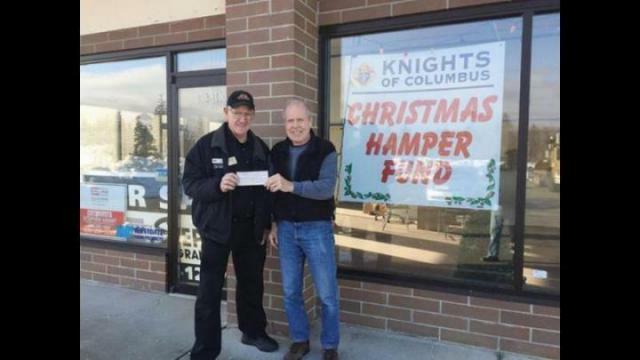 Not only did individual Campbell River area residents came through for the Knights of Columbus Christmas Hamper Fund, many businesses did as well. When it looked like the Hamper Drive was going to fall short of its goal last week, the community rallied and came up with what the Knights needed and more. That leaves the Hamper Fund in a position to be ready to go with some seed money for next year’s drive. The Christmas Hampers were delivered last weekend with the help of many volunteers and contributions from businesses. Here are some of the businesses and organizations that made a financial contribution to the Hamper Drive.